Zack Group connects the right person to the right opportunity. We love helping you find the ideal placement opportunity that matches your skillset and interests. 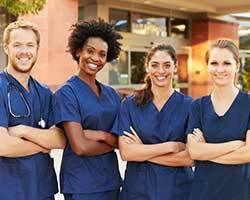 Whether it’s the flexibility of per diem work, or contract, travel or permanent placement, our nursing opportunities place you with the very best healthcare organizations, regionally or nationally. Our list of available positions is long, wide-ranging, and always up-to-date. The benefits of working at Zack Group are second to none, with full-time optional medical coverage, retirement, daily or weekly pay, online tools for credentials and time cards, and much more! Zack Group can place you where you want to be, when you want to be there. 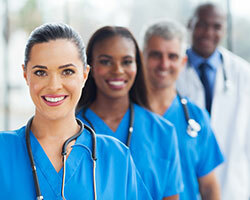 Want to see why nurses love working for Zack Group? Learn more about how Zack Group can help you achieve your ideal healthcare future! Wonderful company. Great people! – Elizabeth A. We Have Great Positions Waiting! If you’re an RN, LPN, CMA, CMT, CNA, RT, or specialize in long term or acute care, ICU or hospice, we would love to speak with you. There are PRN/per diem, contract and travel positions ready and waiting for you! We’re Joint Commission accredited, so you’re guaranteed great opportunities at facilities that emphasize the highest quality care and a real investment in positive patient outcomes. Our management walks their talk when it comes to staffing nursing shifts. They’ve been there. We’re available 24/7. You’re never out in the cold. Getting your time card authorized couldn’t be easier, with online submission via smart phone or computer. Zack Group has been in business for over two decades. We know what we’re doing! If you’re looking for full time work, flexible shifts or travel nursing opportunities, Zack Group has your future in mind.